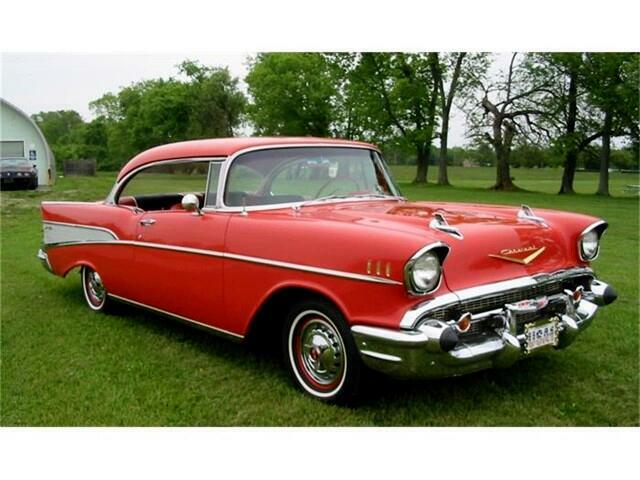 An original 1957 Chevrolet Bel Air two door hardtop. Has original 283 Power Pack engine, 4 BBL, Dual Exhaust, traffic view finder, tissue dispenser, with three speed manual trans with factory overdrive. Very sharp rust free Tennessee car that has no alterations. Runs and drives just as it should. Not a frame off, redone car, just very sharp, standing tall original Bel Air hardtop.